Home Front has been providing commercial play equipment for schools, nurseries, pubs, hotels etc for more than 15 years. We have built up a wealth of experience in how to create the perfect layout and setting according to each client’s needs, budget and available space. Almost every outdoor play project is slightly different; we pride ourselves on our ability to come up with the right play equipment for each individual user. We have a selection of multiplay clubhouse units which we call Meadow, Canyon, Jungle and Mountain. 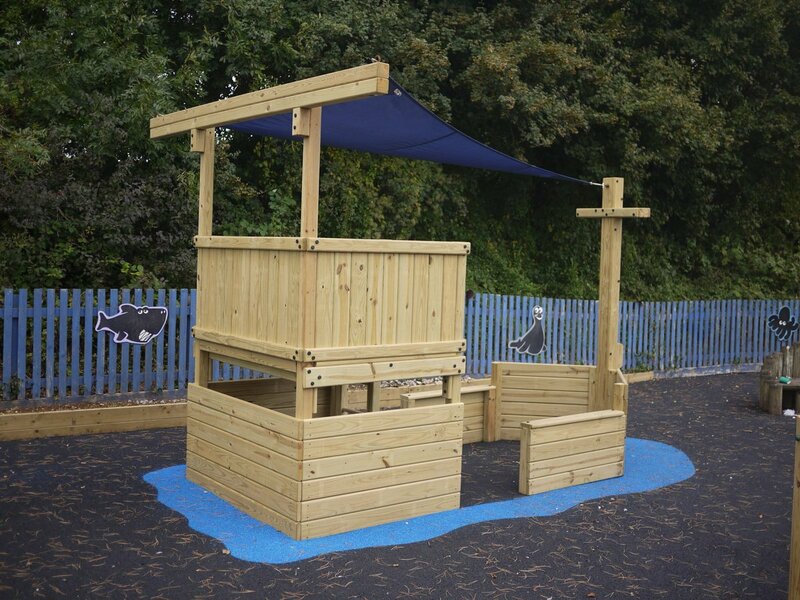 Each of these has different height play decks so you can choose the right one for your playground and they can all be linked together with bridges, tunnels etc to make an extensive joined up play area. And of course there is a huge range of accessories to attach to them – climb up on ladders, nets, rockwalls, gangplanks and come down via our selection of slides – or maybe a firepole. Or for something a little more unusual, what about an Adventure Ship or Adventure Fort for your playground ? We can incorporate all the usual favourite climbing activities of course but with an added dimension. Great for make believe and imagination play, these structures can be adapted to fit your needs and can provide spaces for the more adventurous as well as some areas for reflective, quiet socialising. And we can also provide Adventure trails, sit-in vehicles, swings etc. You can explore our extensive range of commercial outdoor play equipment by searching through the drop-down menus above, or see what others have chosen for their playground by having a look through our gallery. Our modular design allows us to easily customise our towers in lots of different configurations. But sometimes we are given a brief which requires us to create something completely different from the ground up. Our design team and our own manufacturing facility work then together to produce a unique and highly innovative playground on a tailor made basis. Here is an example of one such project. And all this at prices which are lower than you might think.